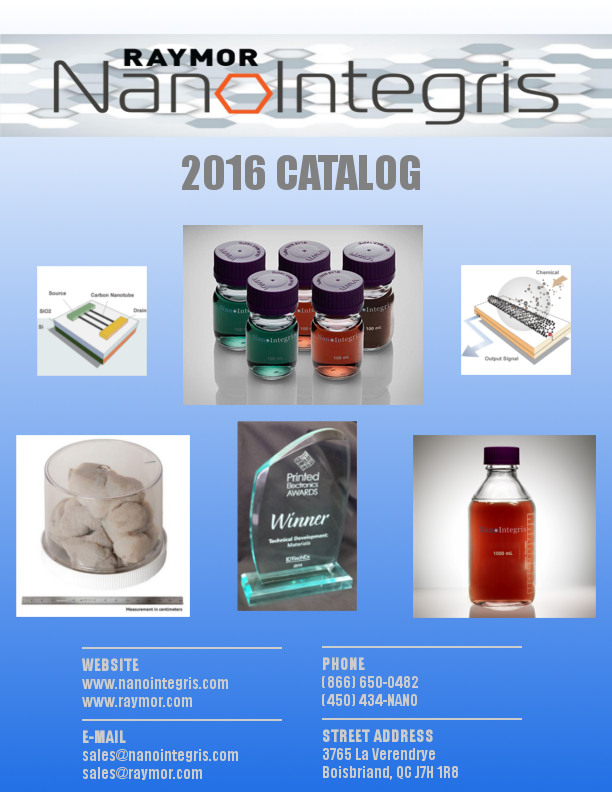 NanoIntegris Technologies Inc. and Raymor Nanotech are pleased to present their 2016 catalog! This colorful 26-page catalog includes detailed analysis, images, descriptions, and pricing for each of our products, along with product pricing and an informative “Did you know?” feature, describing various application highlights for our nanomaterials. Download the full 2016 Raymor-NanoIntegris catalog by clicking here.